Today we’d like to introduce you to Laurie Maves Guglielmi. Laurie Maves has always been an artist. She spent her childhood with her family in Freeport, Illinois, along with her larger-than-life imagination, always creating her own reality (often to the chagrin of her small town mid-western parents). There was nothing more she wanted to do than to make something out of nothing. And if she could make something beautiful, she saw herself as a superhero. 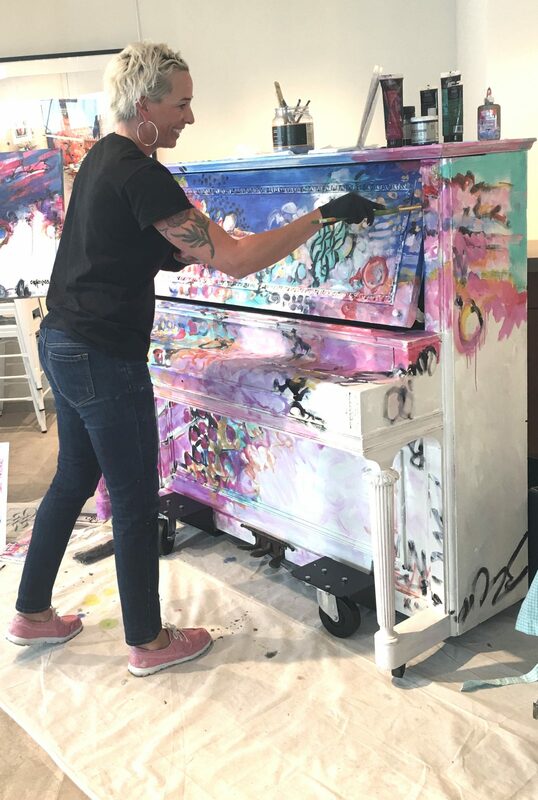 While living in Denver, Colorado in the late 1990’s, Laurie took a leap of faith and gradually transitioned from her profession in the non-profit sector as an art therapist to that of a full-time fine artist and live performance painter. After nearly two decades of living and working in the Rocky Mountain Region of Colorado, she relocated to the Suncoast of Florida. Currently, she resides in Sarasota with her husband, Ralph Guglielmi and maintains a painting studio at the newly established Art Factory 44. 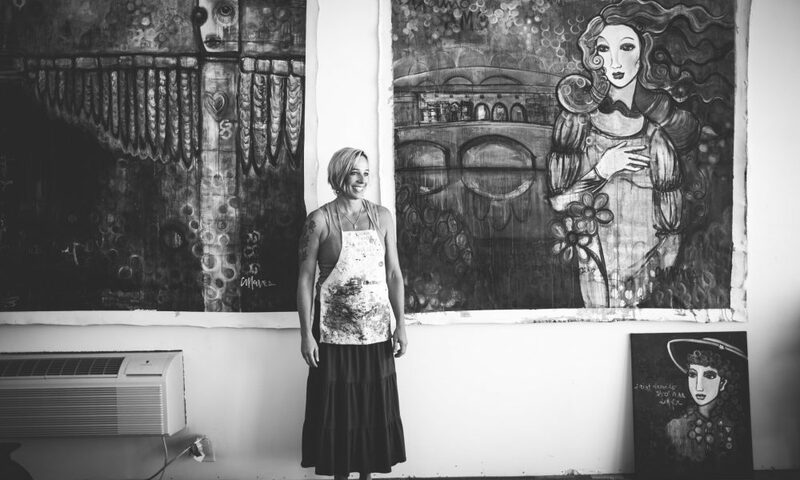 There you can find her either facilitating expressive workshops or creating large-scale abstract expressionistic paintings – images made with an intuitive hand. 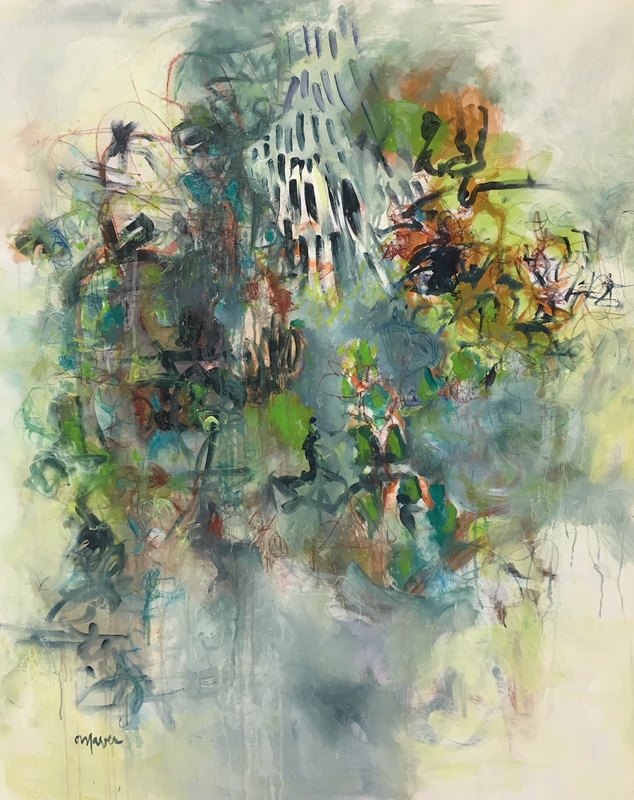 By focusing on the sacred act of mark making, Laurie finds a meditation in painting and experiences a deep spiritual connection in the act of creating. She finds the unplanned final images are often only the culmination of her exploratory process. 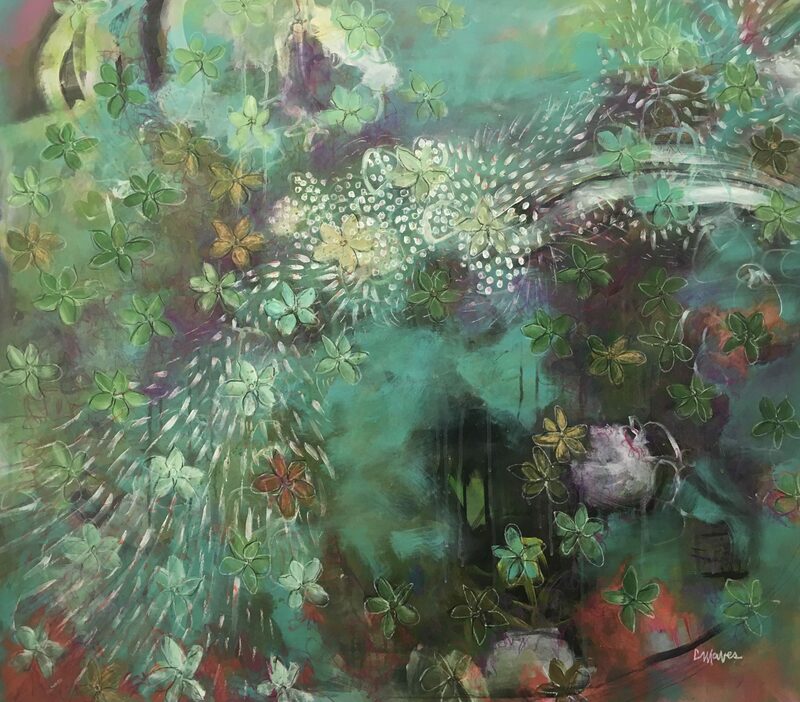 By working in this way, she often feels that she is not making the paintings, but rather allows the paintings to make themselves. My art and process has certainly changed and evolved over the past 20 years. Historically I would make stylized feminine portraits often inspired by artists like Picasso and Modigliani. 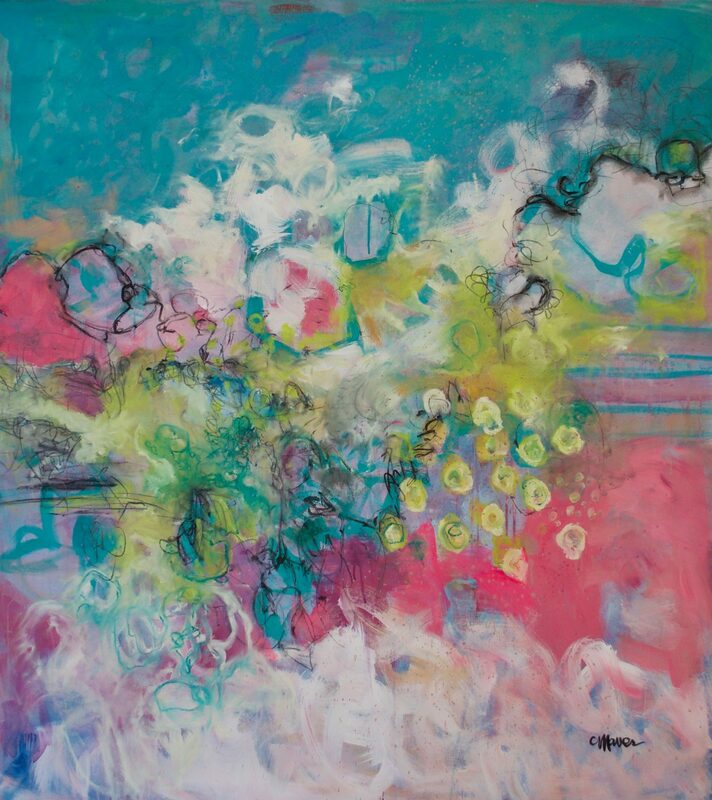 I didn’t begin approaching abstract painting until about ten years ago. At that time, the paintings and the creative process would cause me a certain amount of anxiety as I never knew where the paintings would land, but I also had this deep drive to “figure out” how to make a “successful” abstract composition. I was always driven by trying desperately to understand the sort of puzzle that is created once you put pen to paper and paint to canvas. But the process was often more difficult than enjoyable. 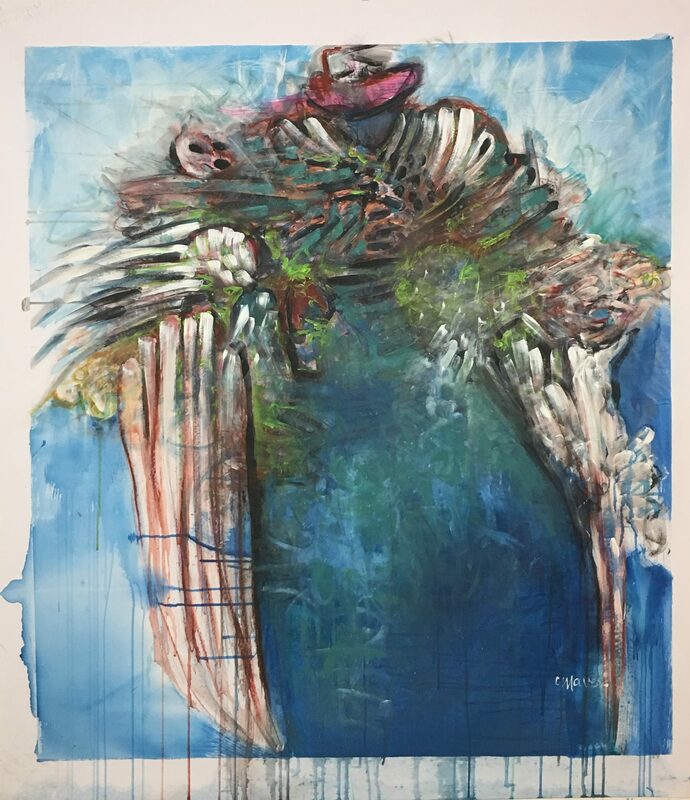 Then in February of 2018, I enrolled in a three-day intensive workshop led by a German artist Bernd Haussmann. Bernd discussed how one approaches the act of creating and painting, combining meditation and mark making. This workshop completely shifted my process to new ways of working without planning, without designing, without composing. The paintings became genuine expressions of feeling and reflections or recordings of what became for me a sacred act of making marks. 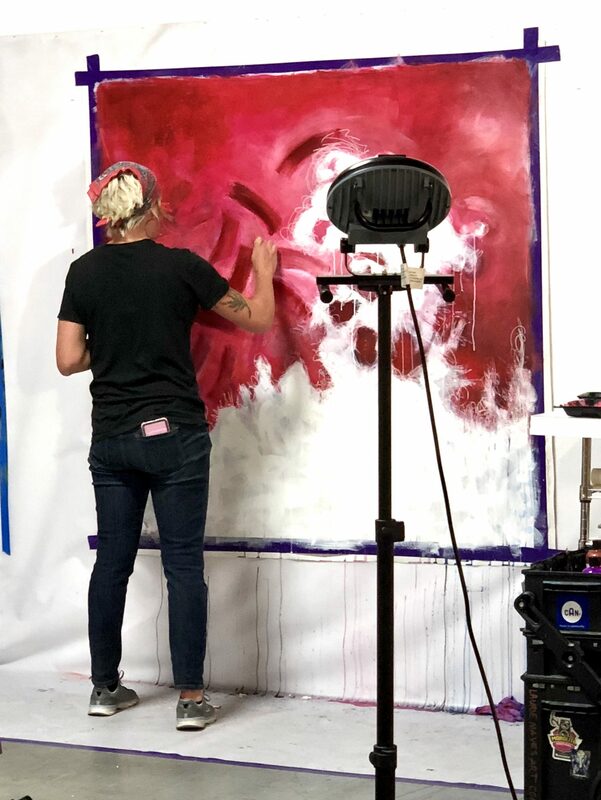 I began closing my eyes while standing at the canvas, focused on my breathing and began a meditation that would work itself out through the application of paint and drawing materials. The paintings became completely intuitive, and I found a new freeness in painting that I had never experienced in my life. This is how I am currently approaching my painting, as raw and listening and open to the paintings that want and need to paint themselves. I find I am simply a conduit for the process, which I experience as most beautiful and enlightening. I thought at one time “success” was having lots of shows and selling an abundance of work. 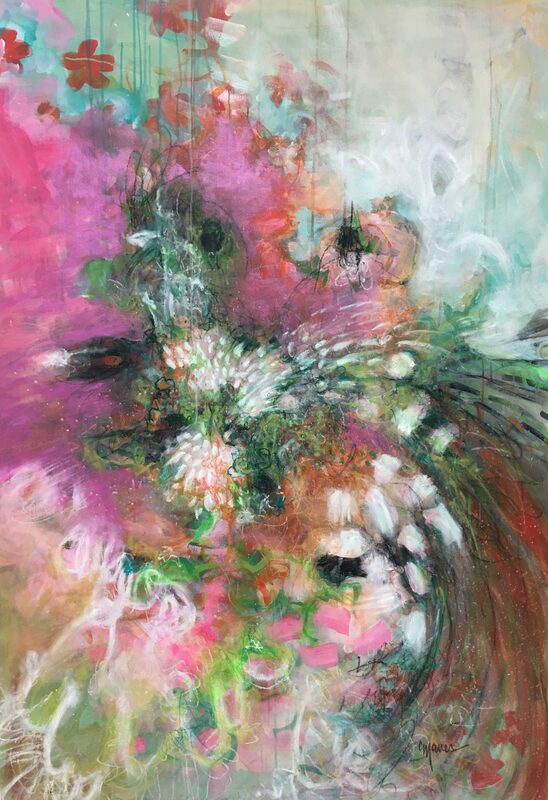 Over time, as evolving into an intuitive painter, I find the most success for me presently comes from the truly personal and spiritual experiences that happen when in painting meditation. It’s almost as if I am transported from the physical experience to something much greater than just being human. If painting can continue to provide these experiences for me, then I am happy to share the recordings of the process with those that may be interested in them. People can people can see and support my current work and projects primarily on my website: www.LaurieMavesArt.com, where original work can be acquired. An archive of almost 400 works can be seen on Pixels: http://laurie-maves.pixels.com – where buyers can select from a variety of print options. 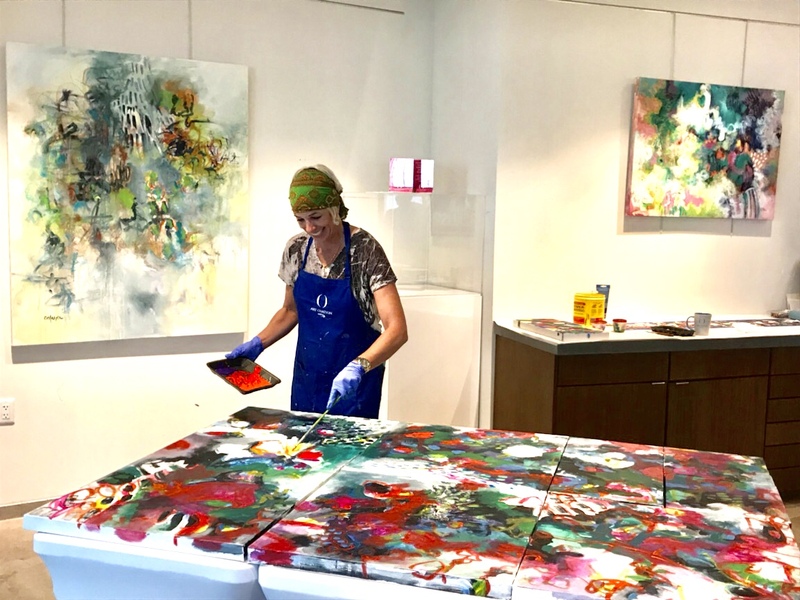 When in Sarasota, Florida, one can visit my working studio at Art Factory 44, located at 885 Tallevast Rd in Sarasota, adjacent to Trinity Printing and Graphics.